Casa La Chiocciola comprises two independent Italian houses built in the second half of the 19th century, about 0,5 hectares of garden, plus project and permission to build a third house if needed. 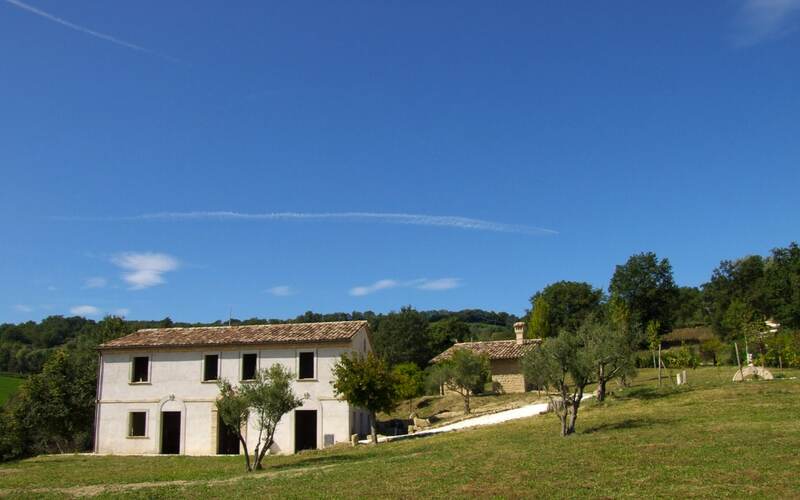 In total this property could provide a buyer with almost 500 m2 of living space. 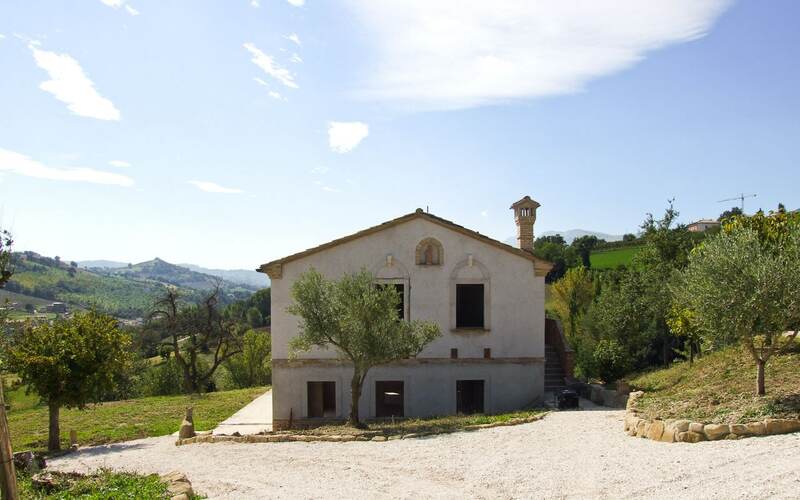 Casa La Chiocciola is set in a warm and sunny position in an area full of olive trees and vines, overlooking the charming medieval town of Camporotondo di Fiastrone in the Le Marche province of Macerata. The garden has no fewer than 40 mature trees, is surrounded by a five year old hedge and is large enough to accommodate a swimming pool of any size. 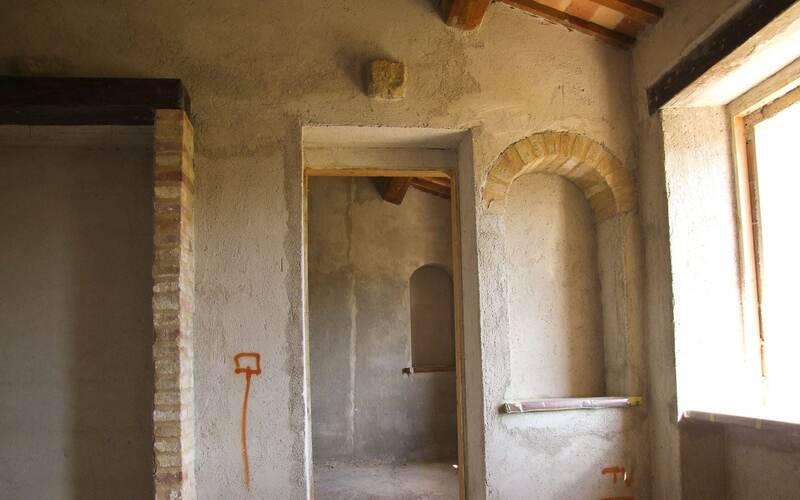 The two existing Italian properties need to be finished in the interiors. In addition to the two current houses, there is a project with planning permission to build a third house in stone. The second house is circa 60 square meters in size, formerly a farmer’s storehouse, is South facing and has been reconstructed in the attractive local sandstone of the old original building. 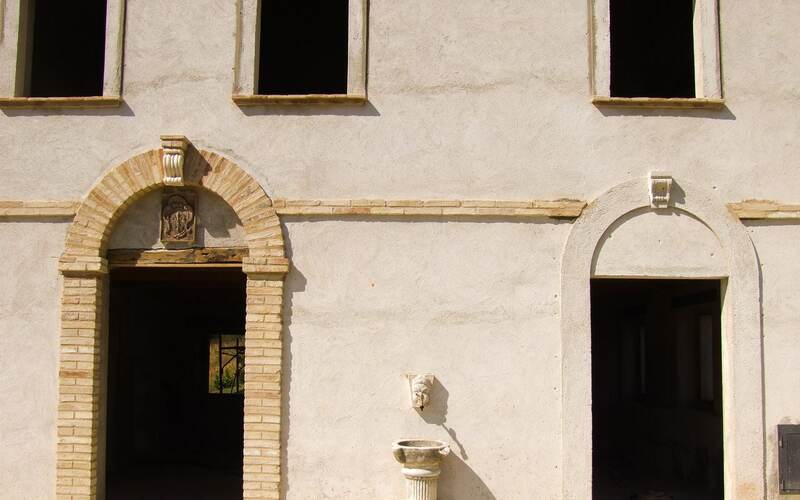 This house includes a number of interesting arches and traditional portholes. 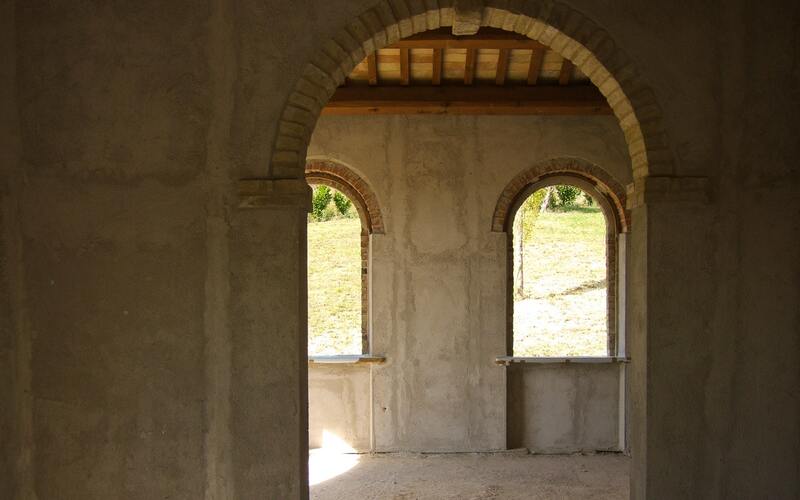 One of these arches will become a large doorway, opening onto the sunny terrace. 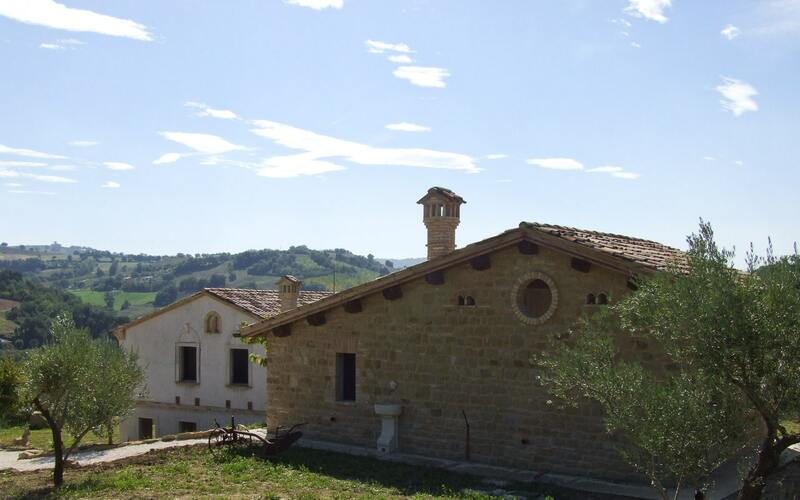 This property would ideally make a bright, self contained Italian apartment, to be let to guests or lent to friends. Although the position of this property is unspoilt and possesses a flavour of a bygone era, it is well connected with the outside world. Behind the hills, 4km away, a motorway (SS77) will take you to the Adriatic Sea in 30 minutes, to the Ancona International Airport in 50 minutes. Many lovely medieval centres are within easy reach. 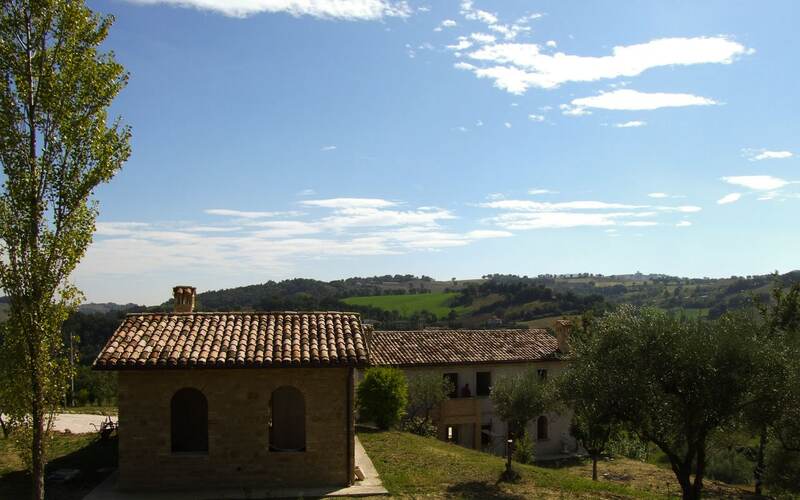 The small town of Camporotondo di Fiastrone, right in front of the property, is literally minutes away. The university town of Macerata, administrative centre of the province, is 20 minutes away from the property with its shops, theatres and Opera House. Also nearby are the university towns of Camerino (25km) and Tolentino (10km), with its stunning church of St Nicholas, the fascinating little towns of Sarnano, San Ginesio (both named amongst the most beautiful villages in Italy), Gualdo, Penna San Giovanni, Caldarola, and many more.